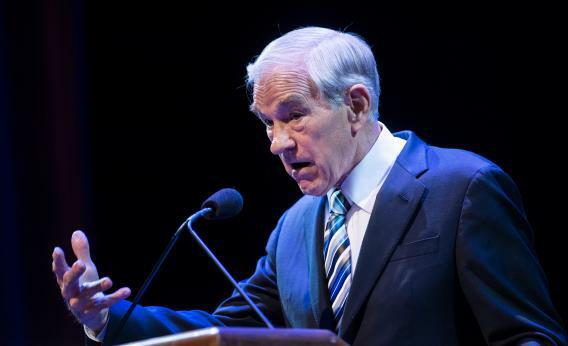 Gold price decline: Ron Paul isn't worried. Former Rep. Ron Paul (R-TX) speaks at George Washington University March 4, 2013 in Washington, DC. On Wednesday I joined the Paul movement for the launch of the Ron Paul Institute for Peace and Prosperity, at the Republicans’ Capitol Hill Club, right near the House offices formerly used by the congressman’s staff. I asked Paul: What was behind the gold tumble? Was he worried?